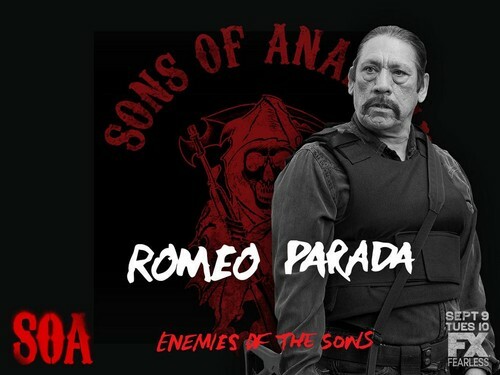 Enemies of the Sons: Romeo Parada. Danny Trejo as Romeo Parada. HD Wallpaper and background images in the सन्स ऑफ अनार्की club tagged: photo sons of anarchy season 7 poster enemies of the sons danny trejo romeo parada.